Durelec, Your Friend in the Trade Plumbers supply, fit, and repair, hot water systems. 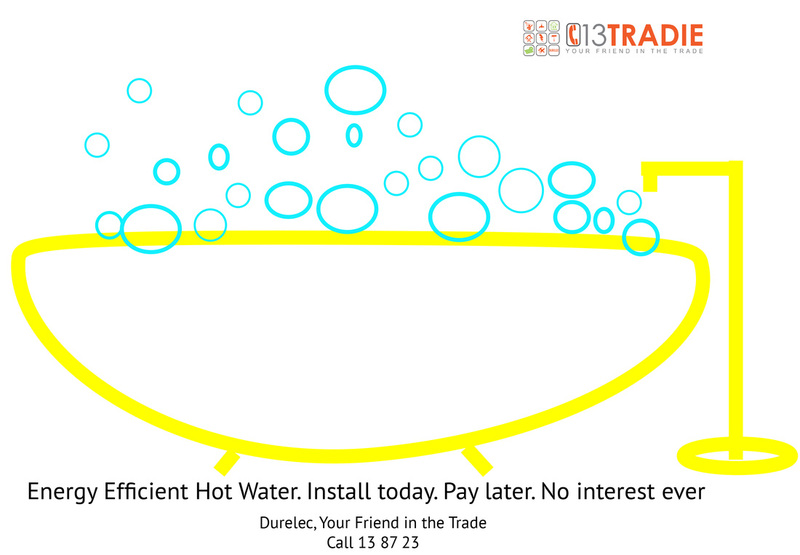 If you have a hot water emergency call 13TRADIE or contact our emergency hot water service. Durelec, Your Friend in the Trade, supply fit and repair Electric Hot Water Systems, Gas Hot Water Systems, Continuous Flow Hot Water Systems, Solar Hot Water Systems and Heat Pump Hot Water Systems. Hot Water Plumber, Plumber, Plumbing, Hot Water Systems, Hot Water System, Hot Water Installer.